On Saturday 17th September, we were invited to attend the unveiling of a life-size bronze statue of aviator Amy Johnson. This was a project thought up by Jane Priston for the 75th anniversary of Johnson’s death: she sadly passed away aged just 37 while flying near the coast of Herne Bay. Neither her body nor the wreckage have been found. We were invited to attend because we won the Kent Messenger Bright Sparks award on 1st July earlier this year. It was an exciting day. 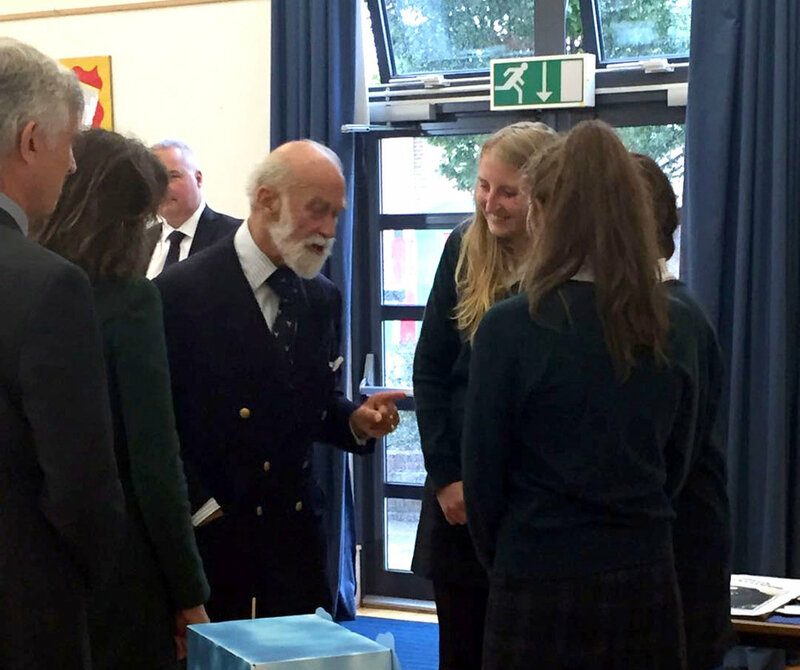 We had a personal introduction to HRH Prince Michael of Kent and talked about the importance of women in aviation and engineering. Lauren Richardson is a 29 year old pilot and after the unveiling she flew an aerobatic routine in a Pitts Special biplane which was spectacular to see, and put on for the invited guests. Also at the event was Tracey Curtis-Taylor, who we also spoke to and at a special reception, she showed part of her film (which is currently being made) about her recreation of Amy Johnson's famous solo flight from England to Australia which was done by Amy in 1930 and also by Tracey at the end of last year. The flight covered 14,600-nautical miles in a vintage biplane named ‘Spirit of Artemis’ . This was truly amazing to hear her talk about her adventure and we have all been inspired to follow a career path in STEM, especially in the fields of engineering and aviation!